This article is about the procedure of keeping aquarium for an amphipod, Grandidierella japonica, in our laboratory. Part 1 is here. The seawater in culturing aquariums is changed to the new one every week, to maintain pH between 7.5-8.5 and salinity around 30‰. 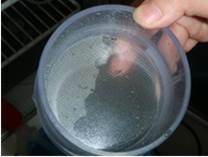 If pH is below 7.5, the dissolved oxygen concentration may be low due to overcrowding or lack of air supply. If so, you have to change seawater, improve aeration system and decrease the number of amphipods. 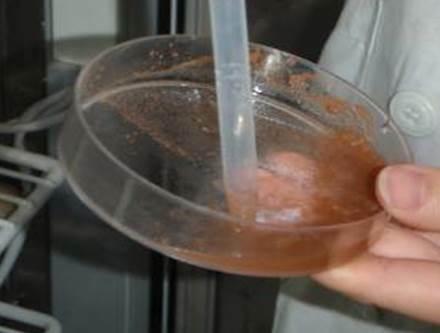 A filter of 250 μm mesh size is used to prevent flushing out amphipods. 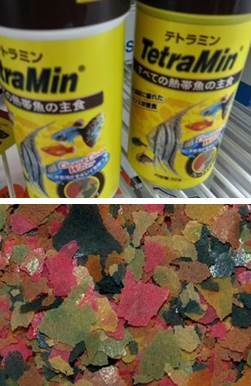 TetraMin, commercial fish food, is grounded with a mortar and pestle. 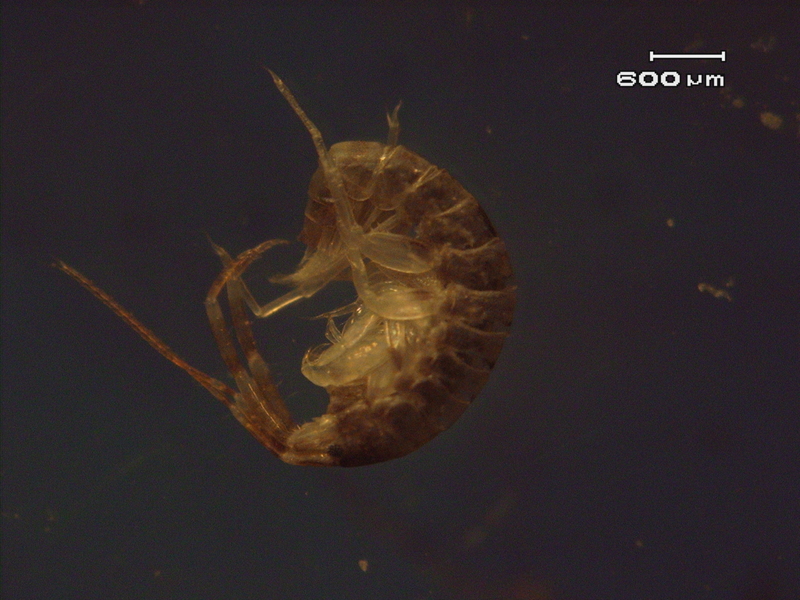 A fraction of less than 250 μm is fed to amphipods three times a week. Approximately 1~2 mg of TetraMin is fed to one amphipod per one feeding time.